This quinoa apple spice cake isn’t just a cake. It’s an institution. Can you really make that claim about a baked good? Yes. Only because of the fact that when most people think of quinoa, they think of a poorly cooked grain that they want to love but just can’t seem to come around to. There are two solutions to this problem. One, learn how to cook quinoa well (throw a little olive oil and sea salt in when you’re boiling it — easy!). Two, use it in cake. Nothing says “I know a thing or two about cooking” than putting a complete protein grain into a dessert. This is one of those simple “mix and pour” cakes, meaning that you would have to go out of your way to mess it up. If you like a denser cake, lean toward the shorter side of baking time. 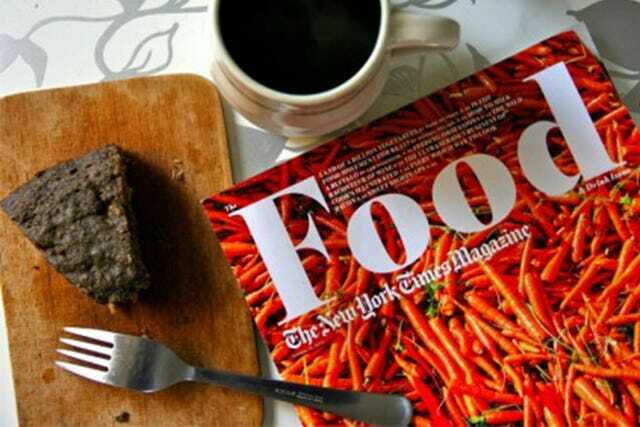 And, serve with coffee and a good food politics article of course. Cook quinoa and set aside. To cook quinoa, bring 2 cups of water to a boil. Add quinoa and a dash of salt and let simmer for 12-15 minutes, or until water has cooked off. Mix dry ingredients. Whisk coconut oil and eggs together and add to dry mixture. Combine all ingredients, including quinoa, and stir in apple pieces. Grease a 9-inch round pan with coconut oil, cover with a light layer of shredded coconut. Pour batter in and bake for 30-40 minutes at 350 degrees or until knife inserted into center comes out clean.